The Lod Mosaic is a late third century-early fourth century Roman floor mosaic that was discovered accidentally during 1996 highway construction near a central city square in Lod, Palestine (nowadays Israel). The mosaic seems to have been made and embedded within a large Roman villa from the Byzantine era. 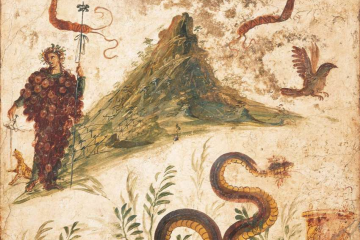 Historians suspect that the villa was owned by a wealthy merchant who traveled significantly and had connections in North Africa, where the artist of the mosaic is suspected to be from. 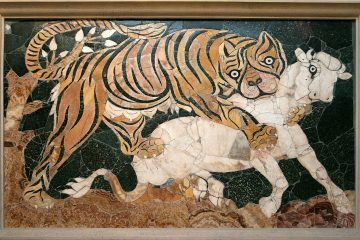 The mosaic measures seventeen meters long, nine meters wide and consists of several panels. 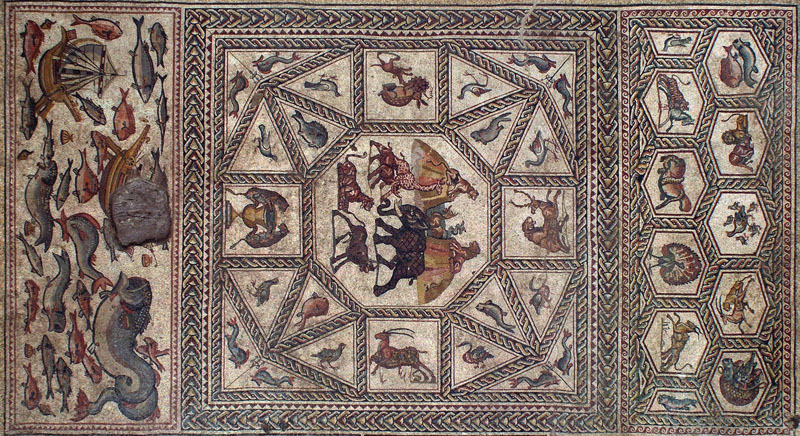 The main panel, measuring thirteen feet square in the center of the larger mosaic, is divided into many smaller squares and triangles that surround a central octagon. The mosaic includes many colorful illustrations, including animals such as elephants, lions, birds, crustaceans and fish, as well as plants, boats, and geometric patterns. The lack of human people, as well as the juxtaposition of marine and safari scenes, make the Lod Mosaic unique compared to many other mosaics of the time period. 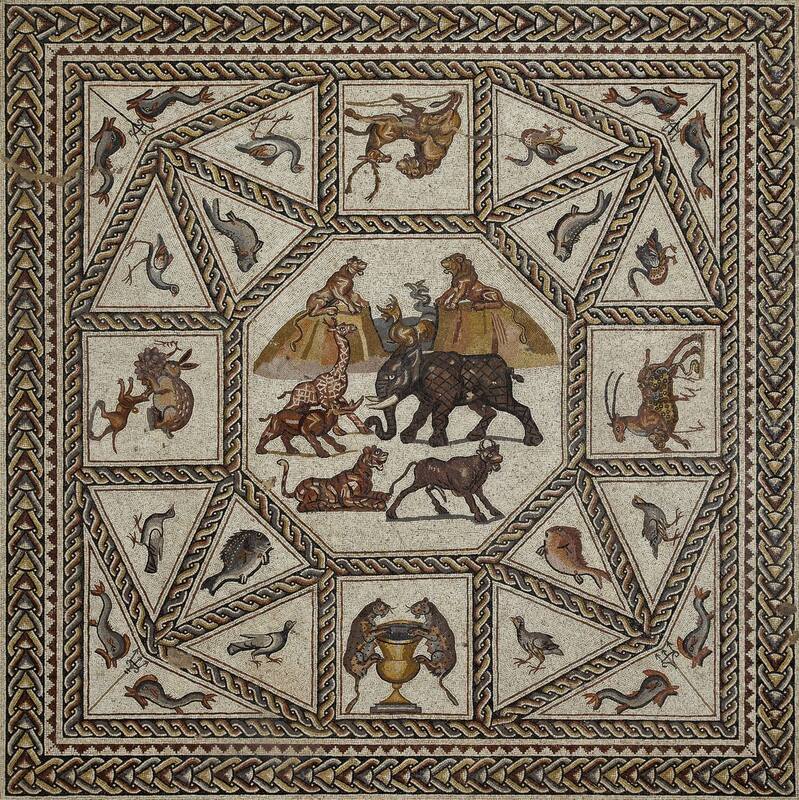 In addition, animals such as rhinoceroses and giraffes were rarely depicted in ancient art, yet are highlighted as the center of the Lod Mosaic. Beyond natural animals, the Lod Mosaic includes the mythical creature Ketos in a large expanse of water, which may represent the distant lands and creatures found in and beyond the Oceanus, an ocean that was believed to surround the ancient world. 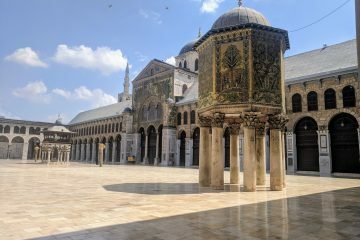 After discovering the Lod Mosaic, the Israeli Antiquities Authority (IAA) did not have the funding to conserve and display it. So instead, they covered it again within the earth, waiting for a donor to come forward. However, the IAA did keep the Lod Mosaic uncovered for two days, during which approximately 20,000 people came to view the mosaic. 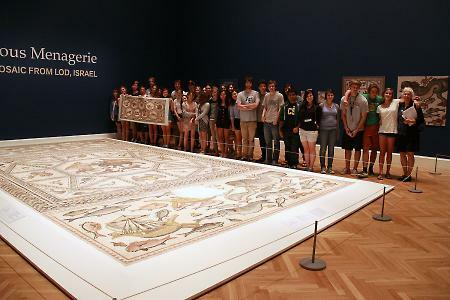 Eventually in 2009 the Leon Levy Foundation and Shelby White provided the funding to uncover the mosaic and tour it around the world. 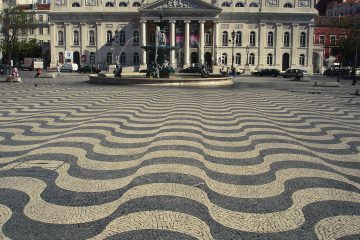 During the second uncovering, the IAA allowed the mosaic to be publicly viewed again for one day, during which 12,000 people came to view it. The mosaic visited Paris, New York, San Francisco, Chicago, and more as the Lod archaeology center was planned. The discovery and preservation was documented in a four-minute video released by the Metropolitan Museum from footage provided by the IAA. home,” The Times of Israel, The Times of Israel, 19 October 2017. Metropolitan Museum of Art, 23 September 2010. “The Lod Mosaic,” Haifa Museums, Haia Museums, 4 December 2017.